Adi Hütter – Evolution or Revolution at Eintracht? Eintracht Frankfurt have found a replacement for outgoing head coach Niko Kovac. Kovac is scheduled to join DFB Pokal finalist opponent Bayern München on July 1, a transfer that was not without controversy as the deal was announced while Frankfurt were still battling for a European place. Now 35 days following the Kovac’s announcement Frankfurt have presented current Young Boys Bern head coach Adi Hütter. Reports suggest that Eintracht Frankfurt had secured a deal to bring in Hütter for quite some time. But with the Austrian coach still battling for the league title in the Swiss Super League both the coach and Frankfurt’s sporting director Fredi Bobic agreed that they would not leak the story until Bern had secured their title. 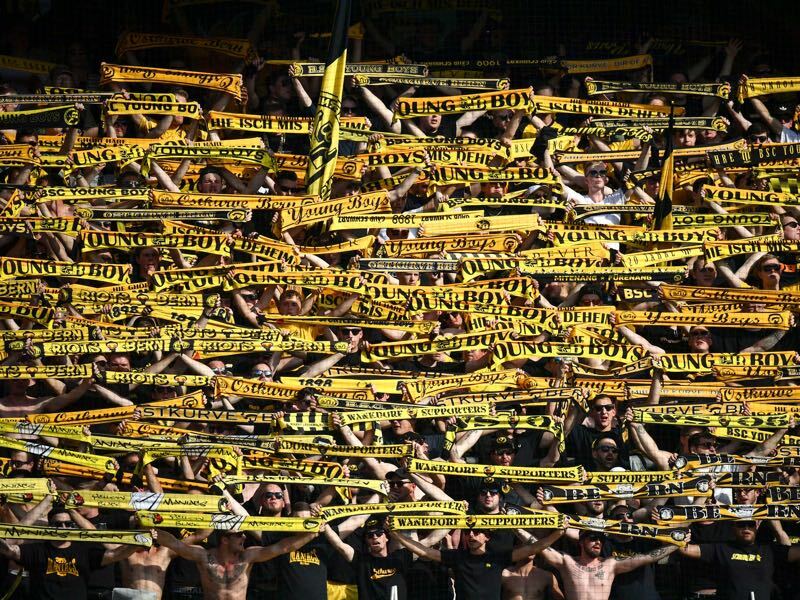 Hütter guided BSC Young Boys to their first championship in 32-years with a 2-1 victory over Luzern on April 28. Now ahead of the DFB Pokal weekend, Frankfurt were interested in keeping the focus on the cup final and quell talks about Kovac’s potential replacement by presenting Hütter as the official successor to the public. “I had three wonderful years at Young Boys and was extremely happy there. I’ll always remember my time there, especially our title triumph and the incredible emotions and celebrations that followed,” Hütter told the media Wednesday. “Joining Eintracht Frankfurt is a dream come true for me. I never appeared in the Bundesliga during my playing days, even though I once had an offer [from a Bundesliga club]. I’ve turned down one or two coaching offers from the Bundesliga in the past, so I’m all the more excited to be able to work in the league of the world champions,” Hütter added. What sort of coach will Frankfurt get, however? One thing is for certain Hütter is no Kovac clone. Under the 48-year-old Austrian BSC Young Boys primarily played in an offensive minded 4-4-2 formation. In that formation, the two wingers in the four-man midfield would be pressing forward – not unlike RB Leipzig under Ralph Hasenhüttl last season. As a result, YB Bern have scored 82 goals this season but at the same time have struggled on the defensive end conceding 40 goals – although five of those came against FC Basel after YB Bern had secured the title. Like Niko Kovac, Hütter started his coaching career with Red Bull Salzburg’s junior team. He then coached in Austria’s Bundesliga 2 where from 2009 to 2012 he played some of the country’s most attractive football with Altach. In 2012 he joined Grödig with whom he managed promotion to the Austrian Bundesliga. Once there he guided Grödig to the Europa League in the first season in the top flight. It was the sort of achievement that caught the attention of Red Bull sporting director Ralf Rangnick. Rangnick at the time was in charge of all the Red Bull clubs, and he promptly signed Hütter to coach Salzburg. With Hütter in charge, Salzburg dominated the league. But at the same time, Hütter clashed with Rangnick over the future orientation of the RB Salzburg club, which was increasingly becoming a development franchise for the emerging RB Leipzig. As a result, of the differences, Hütter opted to leave Salzburg despite winning both the Austrian title and the Austrian cup. Within months of him leaving Salzburg hired at YB Bern where he started to slowly but surely build a team that would eventually dethrone Basel. Finishing second in 2016 and 2017 Hütter was not only able to compensate for player departures but despite many of the best players leaving improved his side every year. Forging together a squad of many nationalities he eventually found the right mixture this season as Bern dominated the league. His ability to forge together a multi-cultural dressing room and to compensate the departures of key players, year in and year out, might be one of the top reasons for Bobic to have targeted the Austrian. Like YB Eintracht have a squad that represents a multitude of nationalities and personalities, and one of Kovac’s key trades was to bring the team together to achieve a common goal. 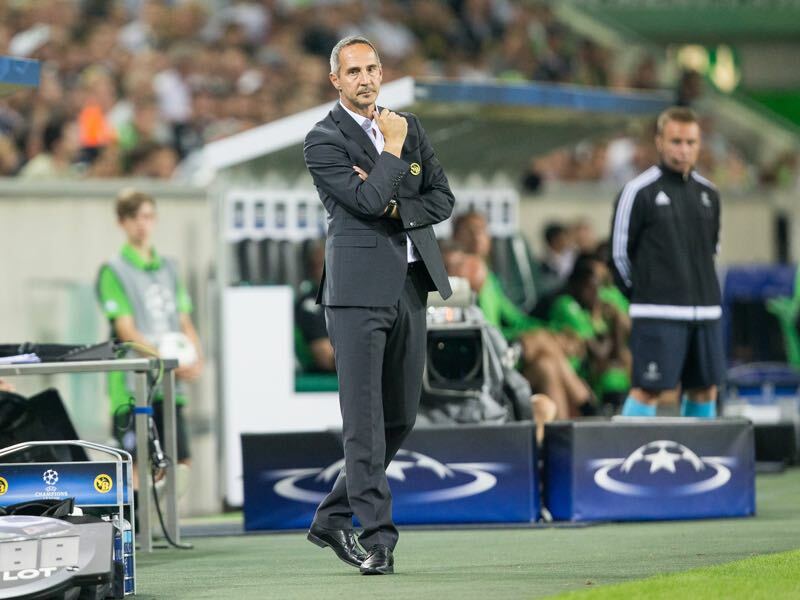 Perhaps one question mark remains on Hütter’s tactical orientation. There is no doubt that Eintracht will undergo tactical changes under the new head coach. At the same time, Hütter also demonstrated this season that he his capable of adapting his tactical approach as he cut down on Young Boys’ aggressive pressing approach halfway through the season to find a more defensive balance. It will, therefore, be interesting to see whether Hütter will revolutionise Kovac’s 3-5-2 system at Frankfurt, or whether he will merely evolutinise it by making minor, instead of significant tweaks. Either way, Frankfurt fans can feel optimistic that in Hütter Bobic has landed a coach that will fit well to the squad and also stands for attractive attacking football.